Wondering what academic life at Arizona will be like? In addition to the degrees and majors, as well as the faculty composition at Arizona this section includes detailed information on freshman retention rates, reasons students did not graduate, and an analysis of full-time and tenured faculty vs. adjunct teaching staff. The total number of instructional staff teaching the 33,694 undergraduate students at University of Arizona is 2,347. When this is adjusted to account for those with part-time status, the result is the "full-time equivalent" (FTE) count. Using the FTE count for students and staff results in a "student to instructor" ratio of 20 to 1 which places University of Arizona among the worst concerning instructional attention. For every instructor (FTE) at University of Arizona, there are 20 undergraduate students (FTE). This ratio is among the worst regrading instructional attention. The majority of the instructors (70.0%) are full-time. 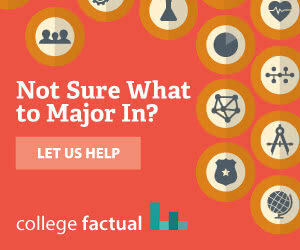 The majority of the faculty (70.0%) are full-time. A significant percentage of the faculty (42.0%) are adjuncts (not in the tenure system). University of Arizona offers 167 distinct undergraduate degrees, concentrated into 111 majors within 29 broad fields of study. Across all fields of study, University of Arizona awarded 7,346 undergraduate degrees in 2016 - 2017.